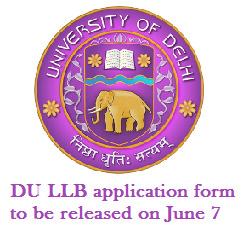 DU LLB application form 2017 will now begin from June 7 as Delhi University postpones the release date of DU LLB 2017 application by as many as seven days. Earlier the application form for Delhi University LLB entrance exam was to be announced on May 31, 2017, which, however, got postponed. “The University of Delhi has revised admission schedule of DU LLB programmes for the academic session 2017-2018. The registration for DU LLB 2017 applications will start from June 7, 2017,” reads the official notification of Delhi University. Candidates can get more information on DU LLB application form 2017. The University of Delhi will be announcing DU LLB application form 2017 in online mode only. Candidates interested in applying for DU LLB 2017 need to register for the LLB entrance exam of Delhi University. Candidates are also advised to read and understand DU LLB eligibility criteria 2017 before filling the application form. Candidates need to pay the application fee of DU LLB 2017 before submitting the online application form. No application form of DU LLB 2017 can be submitted unless the fees have been remitted in online mode using Debit Card/ Credit Card/ Net Banking payment options. Candidates are also advised to keep a copy of filled-in application form of DU LLB 2017, during previewing it. The DU LLB application forms cannot be submitted after June 20, 2017 which is the last date of receipt of applications by the University of Delhi. The Delhi University conducts DU LLB entrance examination for 2310 seats in the three-year LLB programmes on offer at three law centres of the university.